200 employees in Germany and Europe are working towards making renewable energies available to all. We firmly believe it is vital to take responsibility for a healthy environment. For the people of today and for the generations of tomorrow. We have been pursuing this vision since 1997 through project planning, commissioning and operational management of wind power, biogas and photovoltaic plants. Today, Energiequelle speaks many languages. But no matter how we communicate, the passion for what we do is part of every sentence. Energiequelle is now one of the ten largest renewable energy companies in Germany. The company was founded in 1997 by Doreen and Michael Raschemann together with Joachim Uecker. After the initial founding phase, the young start-up began with four of its own wind turbines and an annual turnover target of DM 200,000. Back then, this was all without any employees and without own offices. Work progressed in the kitchens of the Raschemann and Uecker homes: one kitchen was in Bremen, the other in Kallinchen near Berlin. These two locations have remained to this day, and have been expanded significantly. In addition, many more locations have been added since the founding year. By now, the company has grown to 200 employees. In 2015, annual sales revenue exceeded 143 million euro. In addition to the business segment of wind energy, Energiequelle is also active in the fields of photovoltaics, biogas, electricity sales, energy networks and energy storage facilities. What’s more, not only does the company nowoperate in Germany: We have expanded our activity to include international operations. 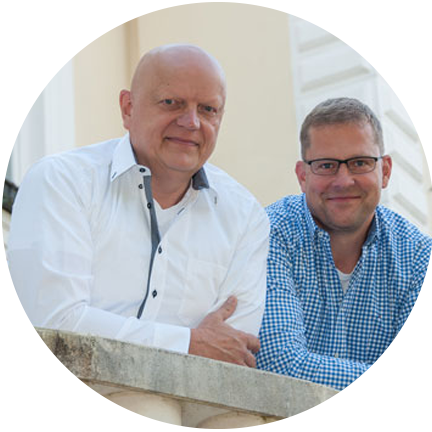 Along the way, the Raschemanns and Joachim Uecker were able to achieve numerous milestones with their company. In 2010, they acquired the French company “P&T” as a wholly-owned subsidiary which designs and manages wind farms in France. One year later, Energiequelle in Germany completed a sensational project: Feldheim, a village in Brandenburg, became the first energy self-sufficient community in Germany. The village’s energy supply was realised with the help of Energiequelle using only renewable energy sources flowing directly – and not only virtually – to the consumer. In 2013, Energiequelle’s projects reached a total output of 1,000 megawatts. The following year became the strongest sales year in the company’s history, with a turnover of more than 200 million euro. Also in connection with Feldheim, there was another technical innovation within the framework of the energy transition: in 2015, the regional regulating power plant (RRKW) was put into operation. With its 10 megawatt lithium-ion rechargeable batteries, it compensates for fluctuations in the grid frequency of the transmission system operator and also secures the village’s full supply. In the same year, Energiequelle founded its subsidiary in Finland. Since 2016, the Business Development unit has ensured the steady growth of Energiequelle. In 2017, Energiequelle turned 20. Another milestone in the company’s successful history. „ Our company is the point of contact for everyone who wants to engage in green energy. For the benefit of the environment and the next generation.